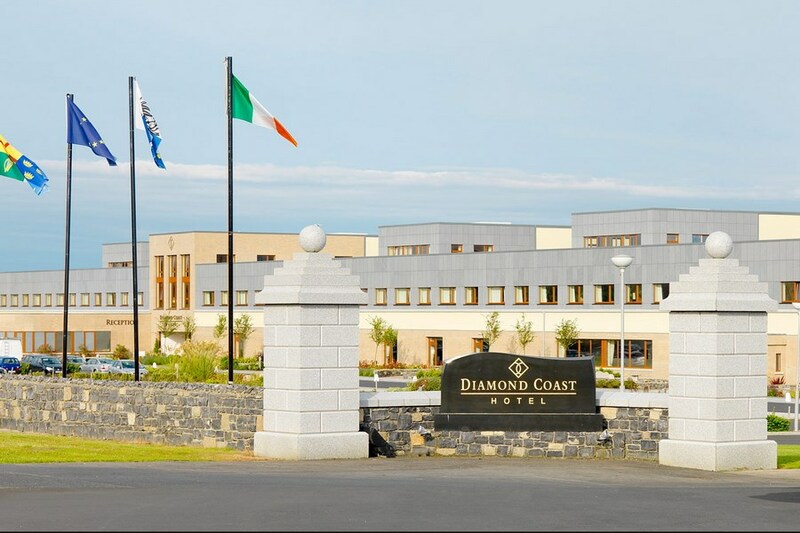 The Diamond Coast Hotel is a superior four star hotel situated in the Killala Bay region of County Sligo. The hotel commands a prime location overlooking the breathtaking Enniscrone Championship Golf Course, dune lands and stunning 5km of golden beaches, perfect for watersports, swimming and long walks. The hotel is one of Sligos best kept secrets and is one of the most idyllic wedding venues in the region. We offer luxury, quality and style, that will make your stay a memorable one. Accommodation comprises 92 well-appointed, spacious & tastefully decorated guest rooms. 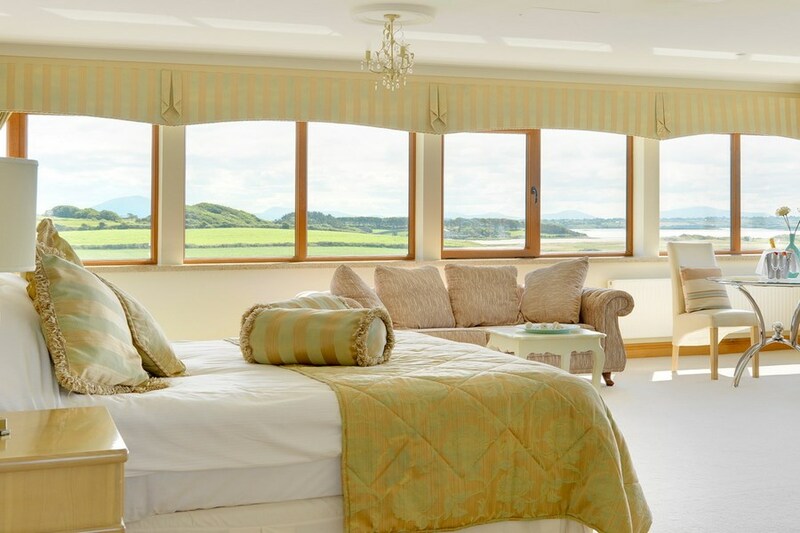 Many guest rooms enjoy spectacular views over Enniscrone Championship Golf Course and stunning dune lands. In recent years the Blue Flag was awarded to Enniscrone Beach by An Taisce. This is an international award that represents water quality, cleanliness, safety and environmental protection. Furthermore, the beach has also received the Green Beach award in recognition of the excellent water quality and environmental management. We stayed for just one night, and we can fault very little about the hotel. The staff were very friendly, especially the wait staff that were on for dinner on the Saturday night. The dinner was amazing, We had the lamb shank and it was perfect. We have a 100% electric car and asked could we plug in our lead to bring us up to 100% for the return journey home but were told this isn't a facility they can provide which is fair enough, They pointed us to a slow charger in Ballina, unfortunately that meant staying in Ballina for 3 hours. This is probably something they should look at as EVs have increased sales by 800% (that is not a typo) We would have been happy to reimburse the hotel although the cost would have been minimal, approx. €2.00. Aside from that we had a nice stay, the breakfast was perfect and we really enjoyed it. The lack of fast chargers in the area would stop us from returning. We had a lovely break at the Diamond Coast Hotel, it was a family get together & our family room for two adults & two kids was very spacious. We had dinner in the restaurant, the staff were so friendly & the food was out of this world. When I checked in the receptionist was very helpful & friendly, kids under 12 stay for free & any additional meals would be paid for as our rate included breakfast with the room. I paid my bill upon check in & the receptionist advised me that it would be an additional 10 euro in total, 5 euro for each child for breakfast, which I thought was a bit steep as my kids only eat rice krispies. I was under the impression that we would pay for the kids breakfast for what every they ate the following morning. Just felt 10 to pay on check in before we had breakfast or before the restaurant knew what they ate was a bit steep. I explained this to the receptionist & she was very understanding. But this is a beautiful hotel in a lovely scenic location & we will be back. We had a family room for ourselves and our three year old. The room itself was very spacious and the hotel in general was clean. As we were on a B&B & Evening meal package we were on a set menu in the evenings. The food itself was fine but the veg was the same every night and the same sauces were being paired with different mains on different night, an example being a citrus and coriander salsa that was paired with fish two nights and pork chops the other two. We also had an issue where we had to order tea & coffee 3 times one night before it arrived, even though it was the quietest night of the four that we were there. Our big disappointment was the attempted shakedown on checkout. We were charged €5 per breakfast and €8 per evening meal for our child, just for the pleasure of having her sit with us. This didn't include anything she ate in the restaurant, which was then added on top. After an argument with the manager claiming that she couldn't drop the charges because the "new computer system wouldn't let her", the €8 per night was dropped but we were still charged for breakfast. Overall, the hotel is very nice for a stay but watch your bill for unexpected extras. Could not fault the staff, every member of staff with whom we had dealings was very friendly and helpful. However, the presence of a manager was not noticeable. The hotel lacks the finer details and indeed would benefit from a thorough cleaning -- fresh flowers needed to be refreshed, loose mud on first floor carpet was there when we arrived and remained there when we were leaving after two days. Our bedroom was bright and spacious but carpet and chairs had very noticeable stains. We loved our stay at Diamond Coast Hotel. The staff was very friendly and helpful. Our room was spacious and warm. The breakfast was filling and tastey. We enjoyed the area. Lack of staff clearly evident, broken glass in toilet for over nine hours, dinner really disappointing, pork belly sent back, a lumberjack with a chainsaw would have struggled to put a dent in it, chicken completely dry, tasted like reheated, friends roast lamb again seemed like reheated from earlier carvery, only one waitress catering to all guests for breakfast so service really slow, you have to get your own tea and coffee, people trying to avoid each other with hot drinks, not really recommended, bar service slow, bar staff had to leave bar for other tasks so left waiting for several minutes just to get served, would not return. Excellent Hotel - great for Kids, Friendly staff This was my second visit to the diamond Coast it is fab, great food friendly staff and very accomadating. it is about 5 minutes walk to beach and town centre but well worth it. The kids club is open from 5-10 nightly and is great for kids. will definetly stay again. We had a lovely few days here. The staff were great. The family rooms are lovely huge rooms. Kids club was great my 4 year old had a ball. Breakfast was lovely every morning, had dinner in the restaurant two nights while the kids were in kids club and was really nice. I could not fault anything. Will be back thank you to everyone in The Diamond Coast. Fabulous Hotel with extremely friendly staff, rooms were a great size perfect when travelling with a toddler. little Diamonds is fantastic for kids when adults maybe want to go for dinner. just a short walk from the fabulous Enniscrone Beach. Lovely hotel, great staff and great facilities for kids, only fault was food was not that good. Very enjoyable stay. Lovely large rooms and nice outlook over the countryside. Breakfasts were self-service and everything you could want....including good coffee! Dinner was lovely and the staff all so friendly and charming. Pity that it had no leisure centre because I was planning some spa treatments...but I should have checked before booking. Close proximity to plenty of tourist attractions and a golfer's heaven! Excellent Hotel, staff so helpful and accommodating nothing too much bother to them. Room A1 and would return again..
A fabulous hotel, with friendly staff, and superb service. Also, having 2 children, i found it very child friendly and although there is no leisure activities, the beach on the doorstep was more than enough for them. I did find that the rooms are over the restaurant/bar area and there was a wedding on (which seems to be very popular in this hotel) and there was a lot of noise coming from underneath us until well past 5am. Lucky my lot are heavy sleepers, but i might request a different room if we were to stay again on a night like that. The rooms are very large, and brilliant with the kids, and the reception seating is huge and welcoming. Also, the dinner menu is lovely, and very reasonable, and i dont think i have come across a nicer breakfast buffet. So overall, extremely happy with the Diamond Coast. If you are looking for a lively town, with lots to do, its not the one for you. But for luxury, and relaxation, and wonderful rooms and bar/restaurant facilities, I couldnt recommend it more! Just back from a stay in the Diamond Coast Hotel. We really, really enjoyed the stay and had no complaints whatever. The staff were very friendly and the food was excellent. We stayed for one night and ate in the hotel and were certainly not disappointed. The bed rooms are very large and comfortable. We needed directions and the staff went out of their way to help us. We would certainly recommend this hotel to anybody looking to head to this part of the country. The hotel was nice, bright and clean, the staff were very helpful. The food is ok, but nothing to write home about, the breakfast is self serve, but the eggs were cold, the black pudding resembled a burnt tyre and the white pudding was flavourless. Having said that though, there was a great deal of choice, except for the fact that only full fat milk was available, if you wanted semi skimmed then you had to notify the hotel in advance - apparently this comes under dietary needs these days. Other than this it was well worth a visit and good value for money. Lovely hotel is very modern and spacious, the room we had was superb. Buzzy atmosphere and very friendly staff couldn't do enough for us. Would have no problems with a return visit. There's even dance music in the hotel toilets giving the impression of disco loo. All in all a place you can't be disappointed with. We are just back from a one night family break in the Diamond Coast Hotel. We really enjoyed our stay. The staff were very helpful & friendly and really good with the kids. The hotel is really clean and the family room was very spacious. Our evening meal was excellent and breakfast next morning was delicious also. No complaints whatsoever. Would highly recommend this top class hotel. Arrived on a cold wet evening and the hotel was beautifully warm and welcoming.The bedroom was huge and fabulous.We ate in the Bistro and food was so good-seafood chowder and fab brown bread,followed by sirloin steak with mash,2 veg,onion rings and peppar sauce.Couldn't eat all the food we were given which was a shame.Staff in hotel were very chatty and the location of this hotel by the sea is very special. We had a fantastic stay at the DCH. The boys loved the kids club and would not eat their dinner as they were so keen to get back there! The kids club was only open from 5-10pm. It would have been great if it also opened from 0930-11.00. The food was great and all the staff very friendly particularly Kim in the bar / restaurant and Sarah and Francesca in the kids club. One bad thing was that there were no bacon fries available in the bar! :-( . The family room was very spacious. It was all very reasonably priced too - Thank you very much. Just back from trip to the Diamond Coast Hotel. We really, really enjoyed the stay and had no complaints whatever. The staff were very friendly and the food was excellent. We stayed for two nights and ate in the hotel on both nights and were certainly not disappointed. We would certainly recommend this hotel to anybody looking to head to this part of the country. S & K.
We were very impressed with our night stay in the Diamond Coast Hotel. Room spacious and comfy, food excellent but the staff made the experience even better, very friendly and extremely helpful and pleasant will definitely be returning. Stayed over new year as a family get together for 17. staff couldn't do enough to help us as we arrived and throughout our stay.. Dinner was excellent and the portions generous and very tasty. Rooms were very very spacious and comfortable with very nice and clean bathrooms. Great breakfast the next morning. Definitely recommend it highly very impressed. Superb in every way. We were delighted with the helpfulness of all staff we encountered. Dinner had excellent portions and was very tasty. We had a platter for starters and I had a selection for desert. Rooms were very very spacious and comfortable. Choice for breakfast showed this hotel are doing everything they can think of to do the very best for their guests. The beach nearby was top class. Could not believe this was a budget break it felt the opposite. Definitely recommend it highly and I'm not one easily impressed. We had a lovely time in the Diamond Coast Hotel. Staff very friendly and helpful. Rooms were excellent very big and airy. I would certainly recommend this hotel and hope to visit soon again for a longer stay. Our stay at the Diamond Coast Hotel was very enjoyable .the rooms and the views were very nice and the food was good .we found the staff pleasant and friendly and helpful .I would like to return their in the future. We really enjoyed our 4 night break at the Diamond Coast Hotel. Very comfortable hotel. Our room was large and well furnished and warm. The bar and restaurant were very good as were the staff. 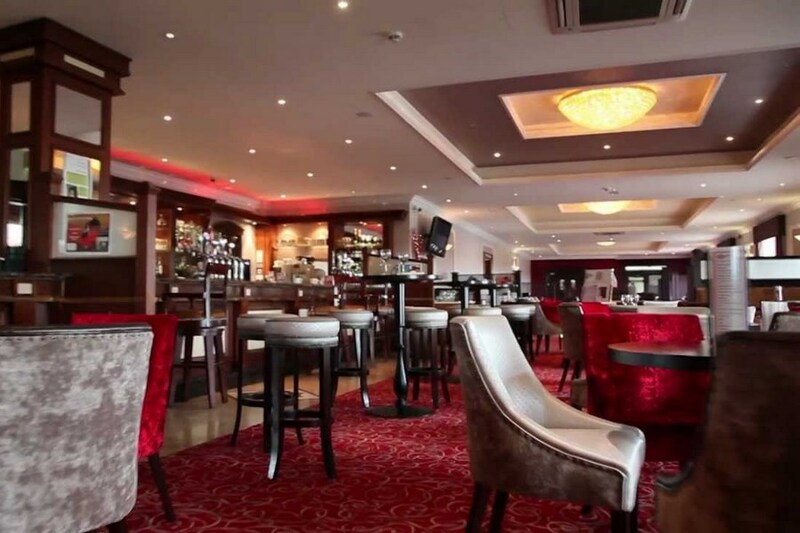 We would certainly recommend this hotel to anyone who wanted to stay in that area of Sligo. The nearby beach is lovely for walking. All in all very good value for money we were delighted with our stay. We had a fantastic stay in the Diamond Coast. Staff very friendly and helpful. Everything you needed was there, down to family board games to put down a wet evening. A special mention for the Kiddies Club staff who looked after our boy very well and gave him a good time. Our room was spacious and spotless. The food was fantastic and well priced. A bit slow on coming out but worth the wait. Are definitely putting it on the list for a return visit. Thanks to all the staff for an enjoyable holiday. Great family hotel. Kids club is excellent and all staff were so helpful. Would reccomend this hotel anyone with young children. Beautiful clean hotel with great spacious rooms. Kids club was excellent and girls that worked there very nice. Food(breakfast/lunch and dinner) was lovely and staff were very pleasant. Only downside we requested and confirmed early check in (12.30pm) but reception staff were not too pleased to see us checking in so early. Just returned from a two night stay in the Diamond Coast Hotel. This hotel is relatively new, nicely decorated and spotlessly clean. Although there is no swimming pool or spa, a walk on the beautiful beach more than makes up for it. We ate in the bar both nights and the food was good. The gem of this lovely hotel are it's staff. They were all professional, courteous and genuinely happy to help with anything. I would definitely recommend a visit!